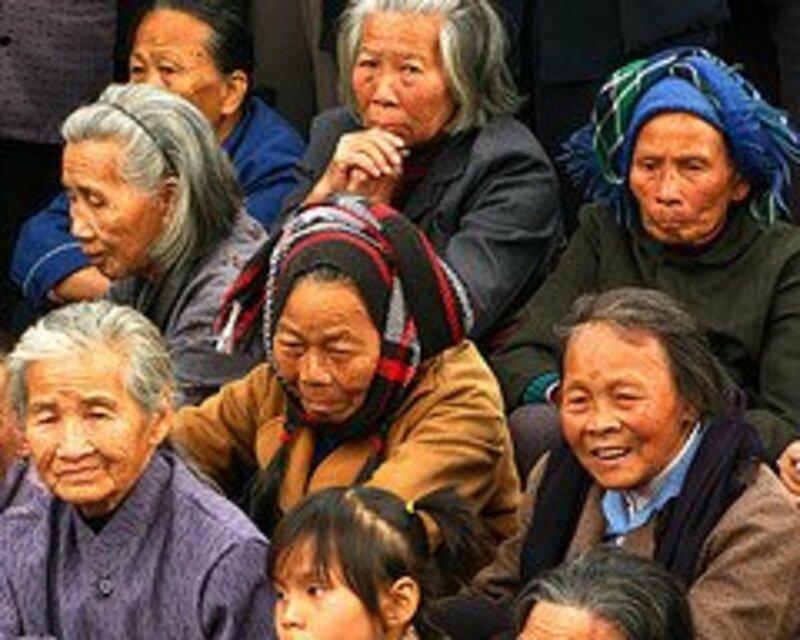 Each nation in this world has something unique to offer to foreigners visiting the country. One of these unique things is food. 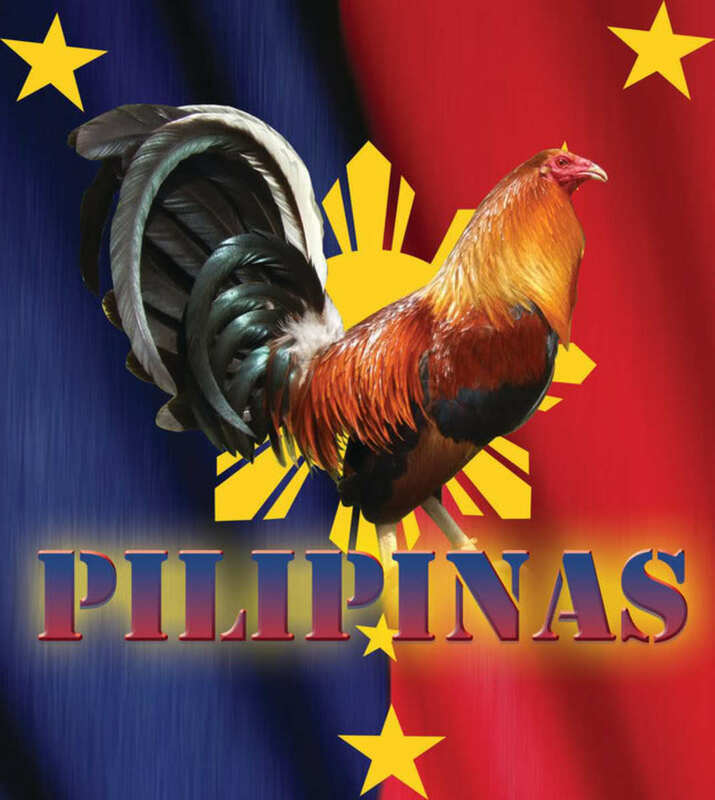 This hub is all about the unique foods from the Philippines. I won't exactly call these foods 'exotic' (one of the websites I just read defined exotic as "disgusting" so I refrained from using this word). I called them unique because I believe they are not commonly found in other countries. As to them being exotic? You'll be the judge of that. 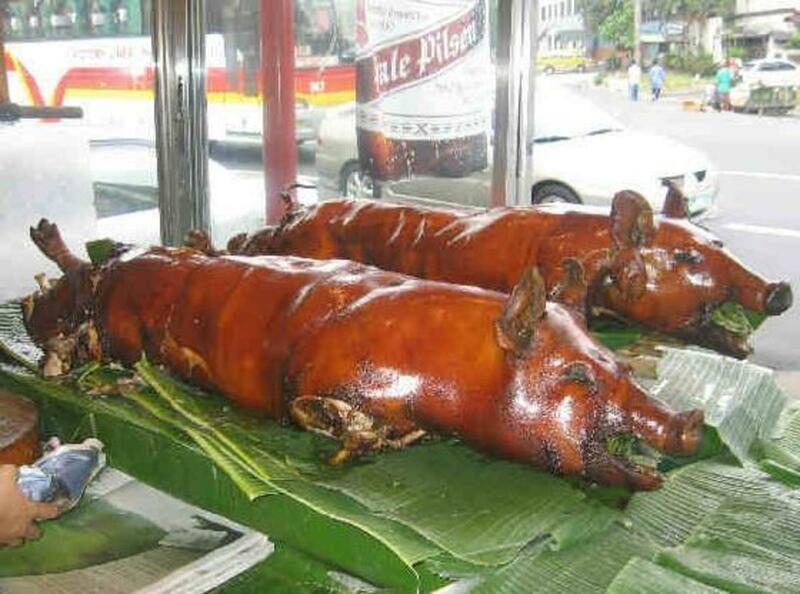 The roasted pig is a staple whenever there are celebrations in my country. Birthdays, Christmas (especially here in Butuan, every Christmas party has a lechon), Fiestas, Weddings, etc., etc., the occasion will not be complete without the presence of the divine roasted pig. With its crispy skin and soft, delicious meat, you'll want to have a bite of this while it's still hot. The lechon is so in demand, especially during Christmastime, that you have to order more than two weeks in advance to make sure there's still an available supply of pig. Cebu is particularly famous for its delicious lechon, so famous that people from Manila will order from Cebu and have it brought by plane to Manila (the flight is about an hour) just for a special occasion. Really something, huh? For those with high blood pressure or high cholesterol, be warned though. Eating lots of lechon is bad for your health (it's bad for everyone LOL). Just eat in moderation. Another rare food, it is defined by http://en.wikipedia.org/wiki/Dinuguan as a Filipino savory stew of blood and meat simmered in a rich, spicy gravy of pig blood, garlic, chili and vinegar. The word 'dinuguan' comes from the word 'dugo' meaning blood, specifically pig's blood. 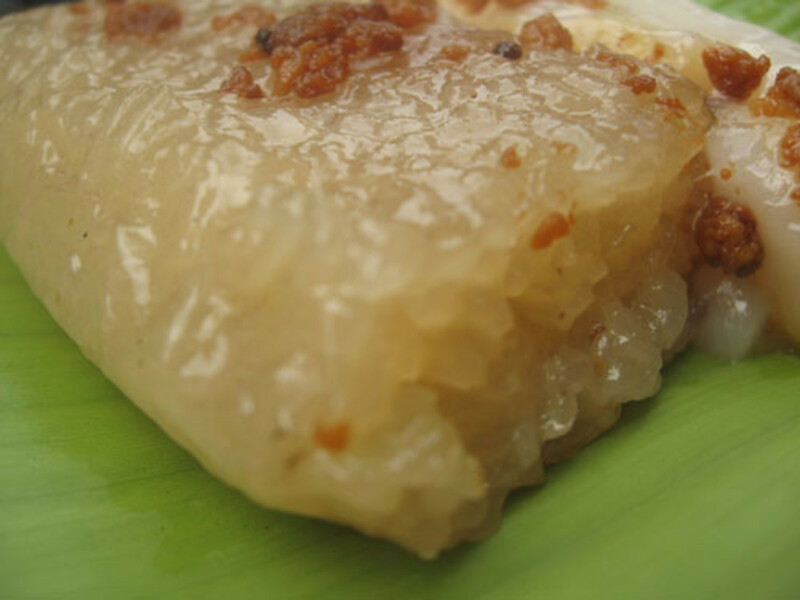 It can be served with white rice or rice cake (called 'puto'). Variations to this dish include adding coconut milk or putting in less blood (what is sometimes called 'tinumis', and is actually my favorite) or more chili or less chili. 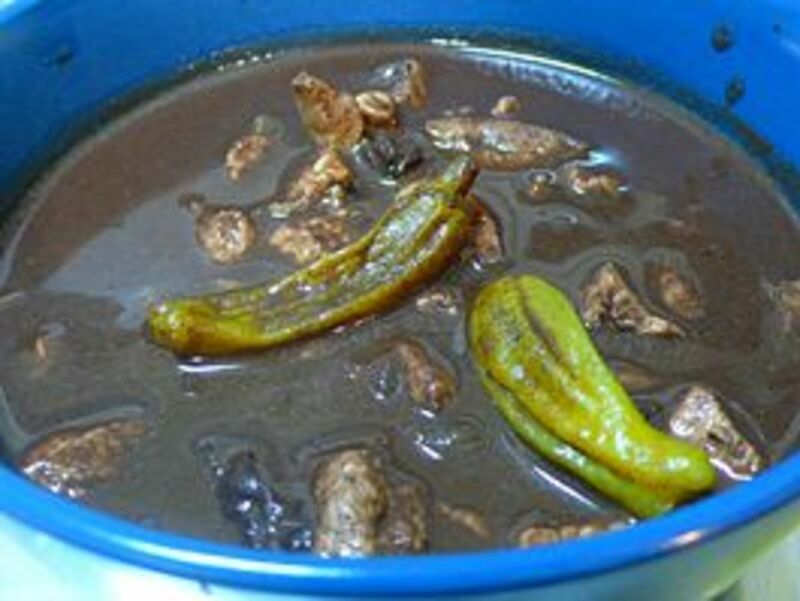 Dinuguan uses pork meat but may sometimes also use pork intestines and liver. Just make sure you brush your teeth after eating dinuguan, the black sauce may get stuck in between your teeth. 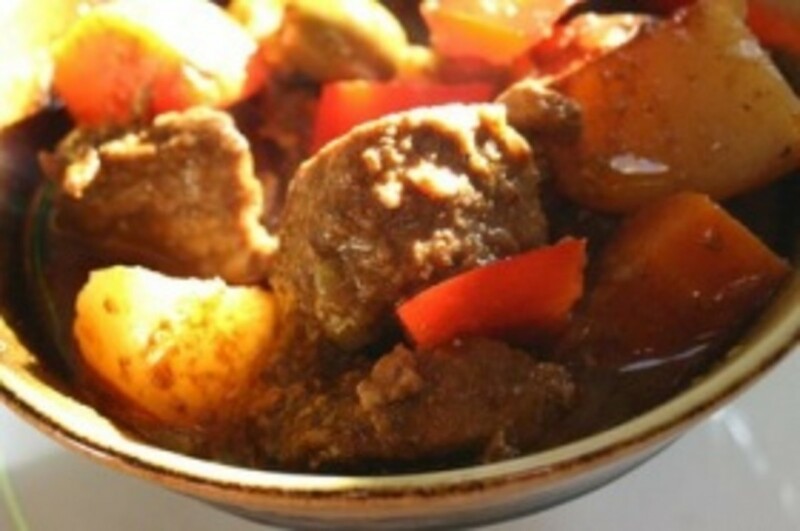 In general, adobo is not really rare in the Philippines. It can also be found in Latin America countries and even Spain. Filipino-style adobo is different in the sense that it was already around even before the Spanish people colonized my country in 1521. 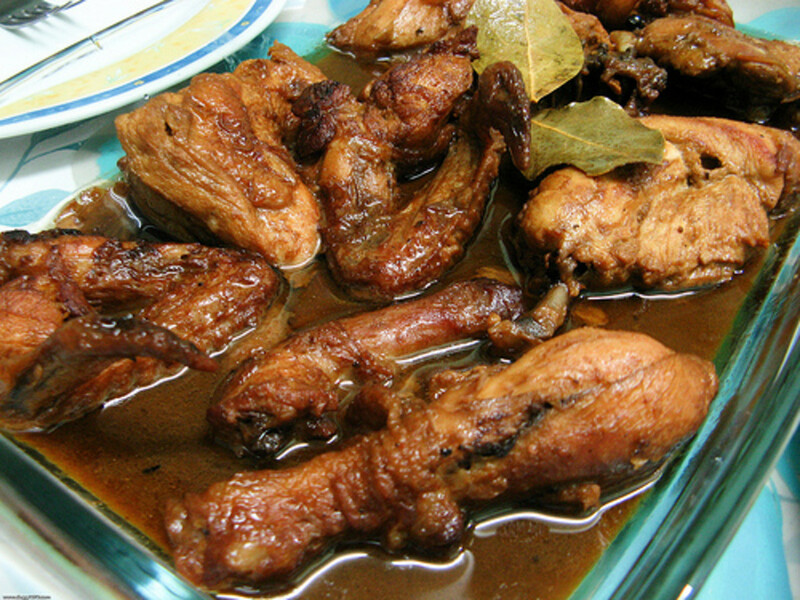 The Spanish people saw that our ancestors were cooking chicken or pork by stewing it in vinegar, hence, they called it adobo (Spanish for marinade or seasoning). 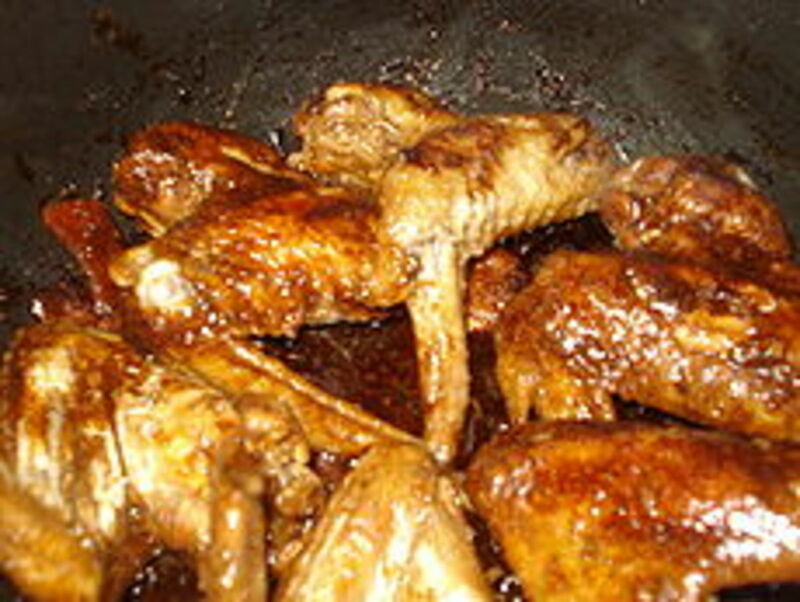 There are two main ingredients for adobo, one is chicken (see picture), the other one is pork. Or you can combine the two, we call this sometimes CPA (chicken-pork adobo). 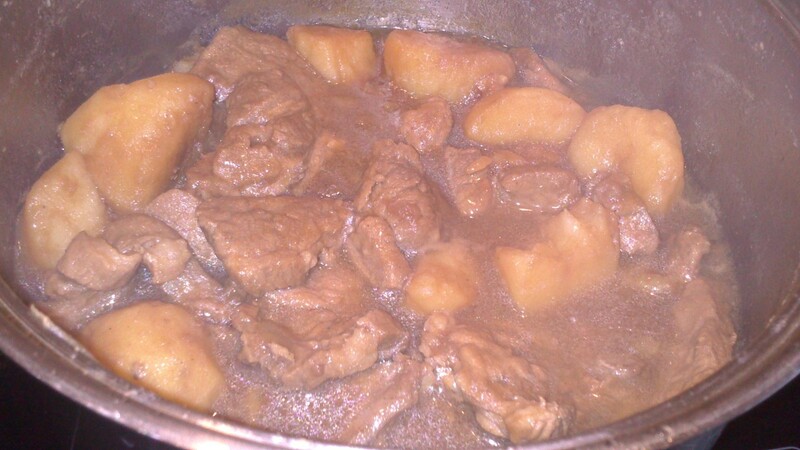 Almost all Filipinos know how to cook adobo. If you have a Filipino friend, ask him or her about this dish. Chances are he or she not only knows about it but also knows how to cook it. Another one of my favorites, this one is found in almost every restaurant that you go to in Mindanao (especially in General Santos City in southern Mindanao). It is raw fish (tuna) 'cooked' in vinegar. You'll know if it's newly 'cooked' if the fish is still red. Kind of like the Japanese sashimi, only the vinegar will eventually 'cook' the fish meat. Other ingredients (aside from vinegar) are ginger, kalamansi (the local lemon) juice, tiny chilis we call siling labuyo, coconut milk, dayap (a green lemon-like fruit, not sure about its English name) which gives it the rare sour taste and onions. You can also add grilled pork to make it a Sinuglaw - sinugbang baboy (grilled pork) and kinilaw. If there's anything about Filipinos when it comes to food, we know how to make use of everything. Bagaybay is the native term for tuna male eggs (I'll not show the picture for this one, but if you insist, I can always get one from the internet). It can be cooked adobo-style or grilled. Either way it is simply delicious and very tasty. The female version (sometimes called the Pinoy caviar) is called Bihod. Just make sure that you don't eat a lot of this food, it can wreak havoc with your blood pressure. This is a very tasty dish. It is made with tomato paste, vinegar and pepper. Potatoes and carrots can also be added to make the dish more nutritious. The goat's meat is very soft and chewy. This is just one of the ways that we can cook goat's meat. In Ilocos, a province in northern Philippines, they can cook goat's meat in a variety of ways (grilled, fried, with soup, etc., etc.). But of all of them, kalderetang kambing is still the favorite. This one is best served with soy sauce and kalamansi juice. It is very easy to prepare. Once done, it is also very tasty. You have to make sure that you turn the food around. The bottom part of the jaw (the one hidden behind the cartilege) is the tastiest part of this food. If you want to see pictures of inihaw na panga, go to this website. This viand can compete with the best spicy foods from the other countries. The hotter it is, the more delicious it tastes. This is made out of pork strips and siling labuyo and is cooked with coconut milk. I've tasted the 'original' bicol express and I could feel my whole mouth burning. My friend, who came from Bicol, did not even bat an eyelid while he was eating it. He said it still wasn't hot enough! Hot or not, it is a very tasty dish and it smells good, too. Okay, it's getting more exotic here. Don't worry, the frogs are cleaned and the skins are removed before cooking. I don't think I need to say anything more about this. This one was tagged 'notorious' in another website and based on the feedback I heard, it is indeed notorious. The egg is incubated ('cooked') for 16 to 18 days before these are sold. It is better to eat the chick when the incubation period is like 17 days so that it is still inside a white coating (read: you will not see the actual chick, just close your eyes and eat). You can dip it in salt or vinegar before eating it. Balot is best served hot. The juice inside, sip it first before you eat the balot. If you can't stand the balot, then eat penoy, also a duck's egg but with no chick. 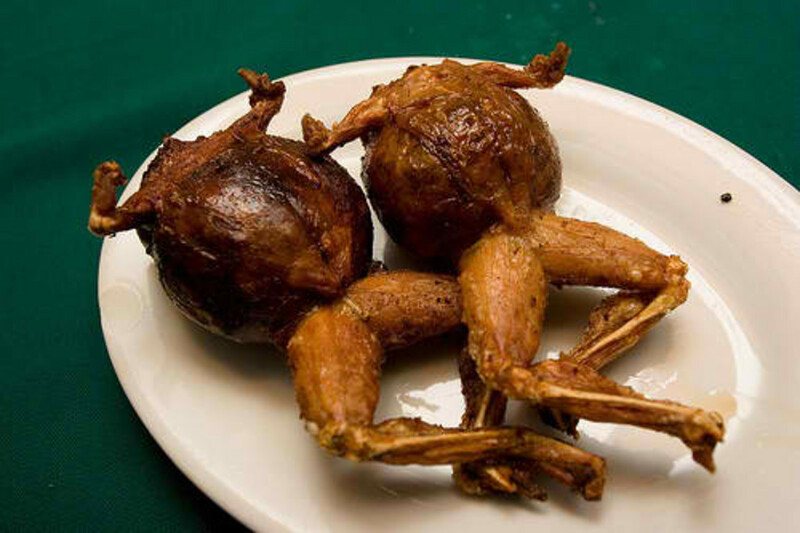 Personally, I like balot better and it's more adventurous to eat one, don't you think? Last but not the least, the Filipino desserts. There are a lot of them. 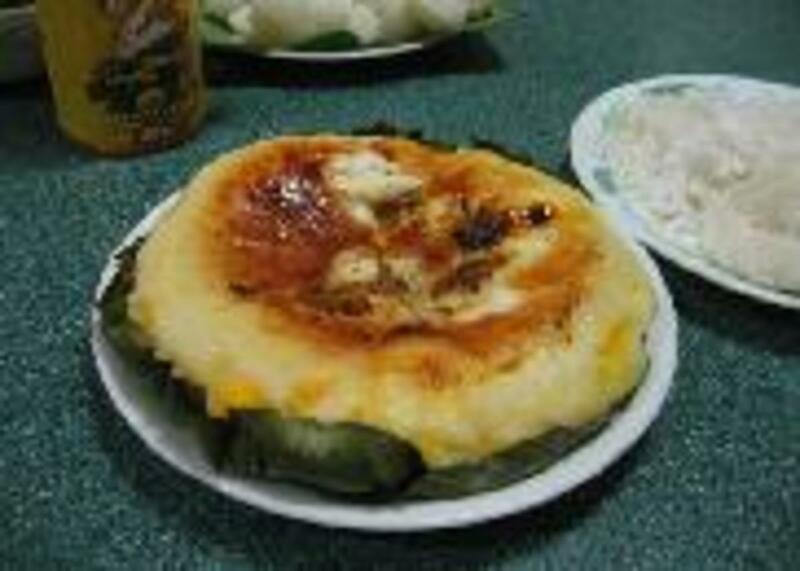 There's the bibingka (local rice cake grilled with charcoal, with cheese on top), the bico (glutinous rice with coconut milk), the halo-halo (fruit cocktail with ice and milk, sometimes served inside a coconut shell) and the puto (rice cake oftentimes served with dinuguan). There are a lot more out there (maybe I'll create another hub for this one). You can have a party serving these desserts alone (bad for people with high blood pressure and diabetes) or you can eat one after a full meal. 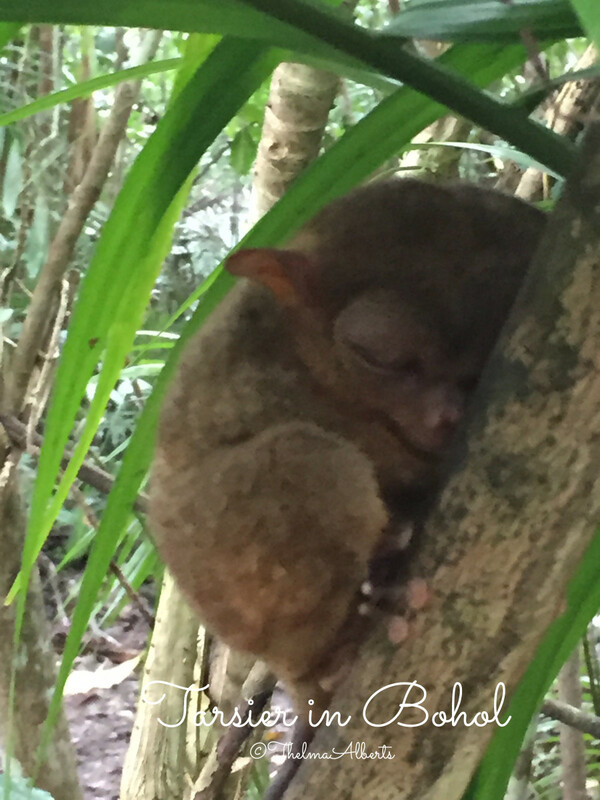 Either way, the Filipino kakanins are a joy to any food lover. So there you have it. Food that we Filipinos are very proud of. These are the foods that our countrymen sorely miss when they go to work in other countries. If you ever come and visit my country, make sure to try these foods out. Happy eating! Some more rare Filipino dishes. 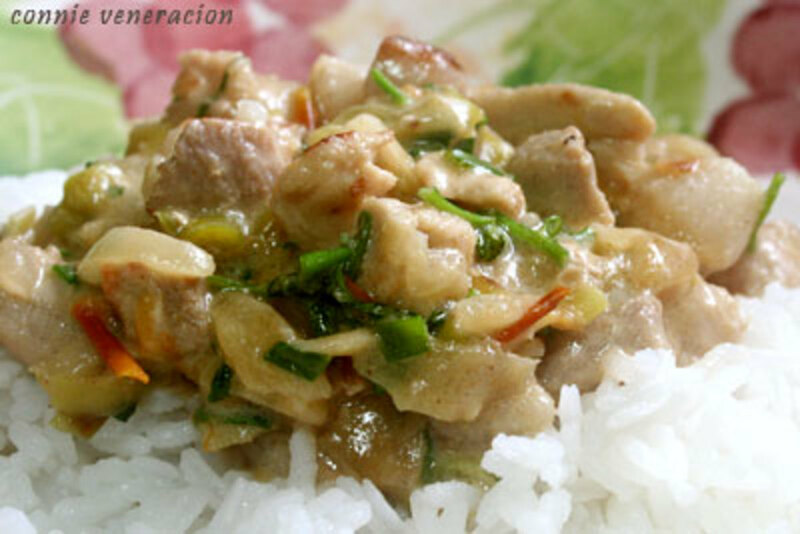 KINUNOT - Flavorful spicy Bicolano recipe, like the famous laing and bicol express. A spicy dish recipe wherein Stingray or Sharks is cook in coconut cream, malunggay leaves and spicy chilli. GINATAANG KUHOL (snails) - Golden snails are cooked in coconut milk, ginger, garlic, onion, and other condiments. 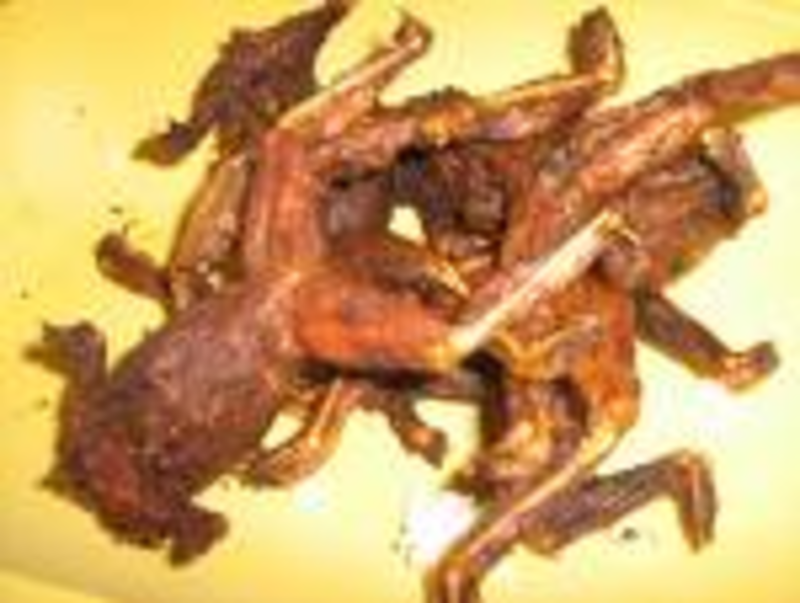 ASOCENA - Dog meat is used and cooked like adobo. Aw ang sasarap naman nito nakakagutom. Great post Sir! I tried the lechon and kinilaw while I was there, but never tried the balot. Most of the food is awesome there, but sometimes it is best to not know what it is. Personally I can only handle some of it. Dog is not for me!! I love to eat and cook Filipino food. 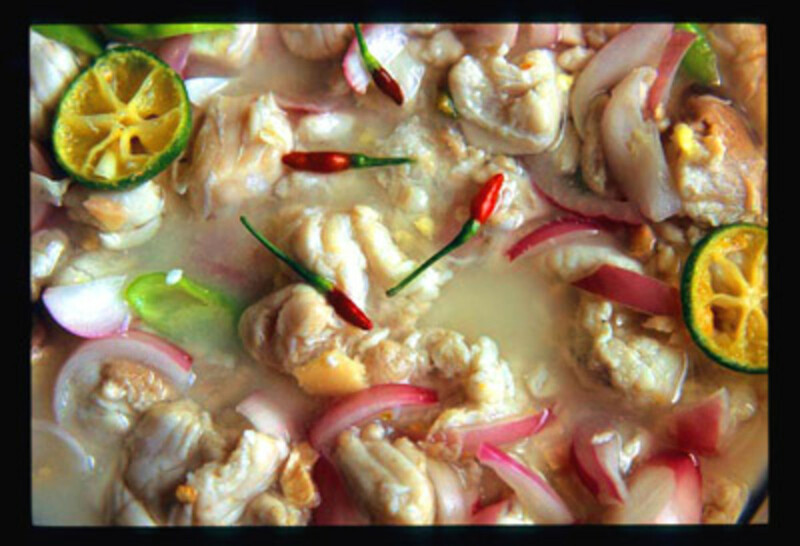 Bicol express is one of my children's favorite. I love to experiment in the kitchen and recently came up with my own version of Bicol express, spicier and I replaced the pork with tuna for a healthier version. My kids liked it very spicy. The hotter, the better. Aww! These foods will definitely make you feel hungry over and over. My mom used to cook 'sinampalukang manok' and 'sinampalukang igat'. They are yummy too! I am a HUGE fan of new and interesting foods! I can't wait to try Kinilaw per your recommendation! And I love halo halo! @chendra, come over to the Philippines. I swear you won't regret it :). @pinkhawk, interesting name you have there. LOL, it's obvious that eating is my hobby too. 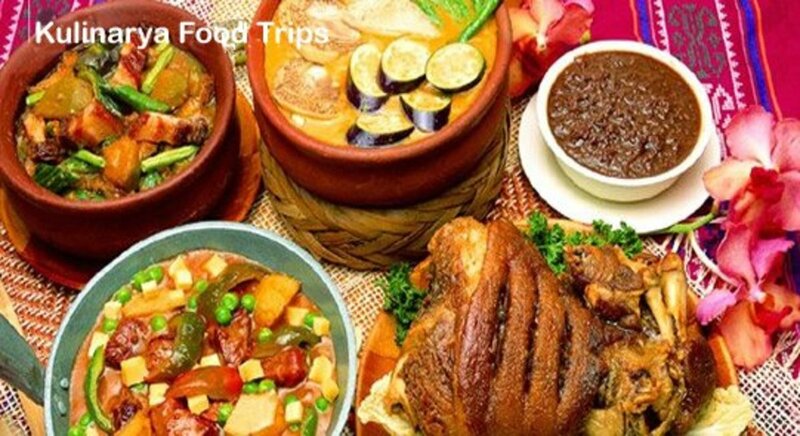 wow.. i'm think for a food safari in Philippines! Hey you should check my hubs.. a lot of FOOD there!!! Exotic food! great hubs.I am from the Philippines as well. your hubs inspired me to write one.keep it up. Thanks febriedethan. LOL being neighbors, I'm not surprised we have similar tastes ;) and yes, we do have shocking ones. I didn't even include them here. These are just 'normal' unique foods, at least for me :). Thanks for dropping by and your comment. 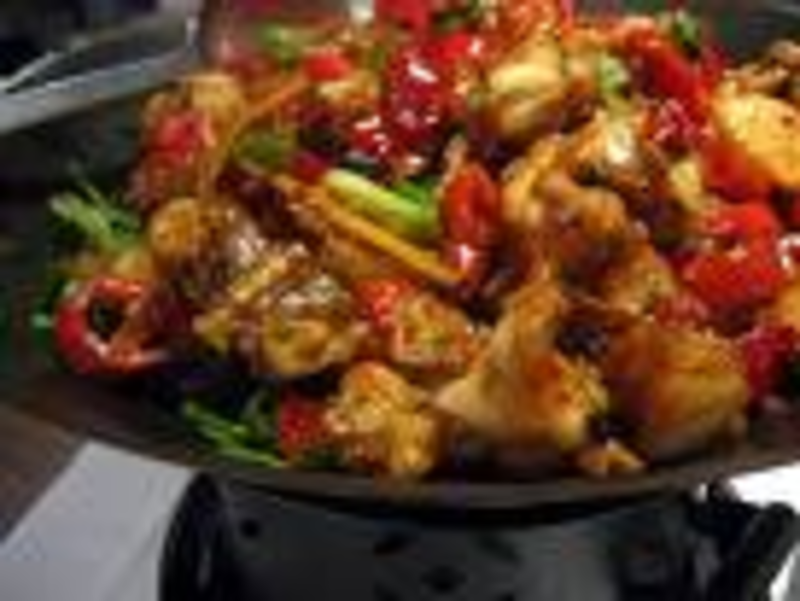 I think Asian foods are really rare and shocking ha..ha Thank you for sharing! You gotta try them. The roasted pig? It's more delicious than bacon. Crunchy on the outside, juicy on the inside. Mmmmmmmmmm =). Roasted pig here is the centerpiece on almost every party, especially during Christmas. Wow! I don't think I've tried any of this. Hmmmm... I'm a wuss when it comes to trying new food! LOL! The roasted pig sounds good. Does it taste like bacon? EK this is not the hub LOL. Go to I love sashimi hub LOL. You're right this will make you more hungry =). Oh this is so helpful to know specially if Im in a restaurant!..but I must buy some Adobo? thankyou for making me more than hungry now ,lol. So far you are the best Fil food hubber that i know. Good job! Keep it up! LOL thanks. Maka rayuma baya ang anchovie fish ha. Hinay hinay sa pagkaon ana. You went to Butuan? Where did you stay? hala, oy, nakalimot jud kas bolinaw, intawon...kinilaw apan gisabwan og hatok nya gibutangan pa jud og halang..
zylla, chicken feet will go under exotic foods I think. I like eating it also but I rarely get the chance because my husband doesn't really like that stuff. I saw the chicken wings...but where's the chicken feet? I also love balut and kinilaw. naku paborito ko po ang lechon! Thanks Dame Scribe. They are delicious. I've tasted all of them and I can honestly say they're a feast to a food-lover (which happens to describe me LOL). rb11, LOL. I take it you didn't like balot? Can't blame you, a lot of Filipinos also do not like it. They prefer the penoy. 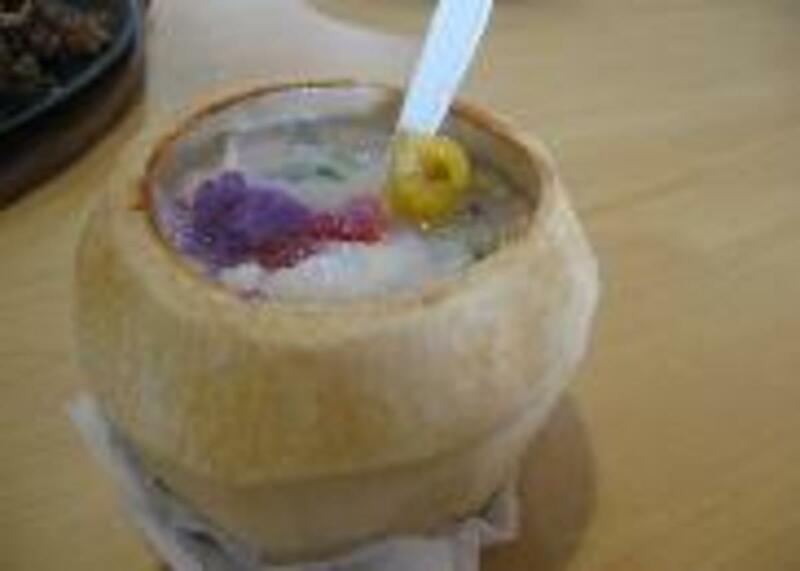 Have had the halo-halo and the duck egg before, the first was good the second I know is good for you.